Sometimes the best gift is the gift of not having to do chores. Of course, if no one mows the lawn, cleans the gutters or vacuums the living room, who will? Your robot, of course. Everyone knows about the Roomba, which set the standard for vacuuming robots years ago, but fewer have heard of the many other home-maintenance bots that are available to the progressive (and lazy) homeowner. To start with, there are alternatives to Roomba. iRobot also sells a small, square guy called the Braava, formerly known as the Mint. This compact device uses a Swiffer cloth instead of a vacuum to collect dust and hair. We've had one in service for quite a while, and for cleaning simply-laid-out rooms with hardwood floors, it's a great deal. Neato has always been a rival of iRobot, offering a more sophisticated (they say) bot that navigates your house intelligently. Their newest model, the BotVac, does look slick, and the squared-off shape means it really gets into those corners. Animal lovers can hardly stand to be away from their furry friends — though cats don't always return the affection. That said, one thing both can agree on is that lasers are awesome. The Petcube ($199) doesn't qualify as a robot exactly; it's more like a telepresence device that lets you see, listen and talk to your pet — and you get to shine a laser around to play, too. A kid leaving for college might love being able to check in with (and rile up) the family pet. And for those stuck with cleanup duty, here's a true taste of the future: a mechanized cat litter box. Actually, these have existed in various forms for a while, but the Litter-Robot II does look to be the most advanced out there. The specifics of its operations we'll leave for cat owners to peruse, but anything is better than the standard method. Some may balk at the $369 price — and others might consider it a bargain. Sadly, no robot is available to take the dog out (or pick up after it), but a well-manicured lawn will prevent surprises during barbecues and birthday parties. You could assign the kid to it, but these robots will do the work without complaining. If all you need to do is the back yard, Robomow's entry-level RM200 should do the trick. But you'll need to stake out the edges of your lawn so it doesn't go off into the street (you can also control it remotely with a smartphone app). For a bit more money, the LawnBott LB1200 Spyder takes care of all of that for you, sensing grass and obstacles with its sensors. Neither is cheap, but what price can you put on never having to mow the lawn again? 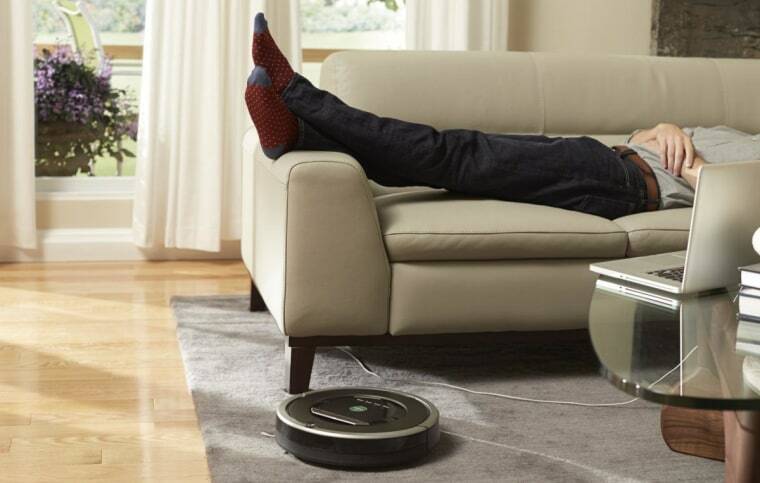 iRobot has made a play to get you out of even more dirty work. The Looj crawls down your gutters, tossing rotten leaves out, and the Mirra cruises around the walls of your pool, brushing off algae and sucking up contaminants. With the robots taking care of the house, the cat and the yard, all you have to do is get up in time to put them to work. And naturally there's a robot for that, too. Clocky, the cheapest and perhaps the most ridiculous of all the robots here, is an alarm clock that refuses to let you hit snooze forever. When it starts beeping, you get just one chance to extend your slumber — but when it goes off 10 minutes later, its little wheels start spinning and it rolls somewhere you can't reach it. Nothing like a tiny robot beeping at you from the hallway to get you out of bed. Now, just a parting word of warning: these robots may be cool, but the fact is none of them does as good a job as a human. We'll get there eventually!